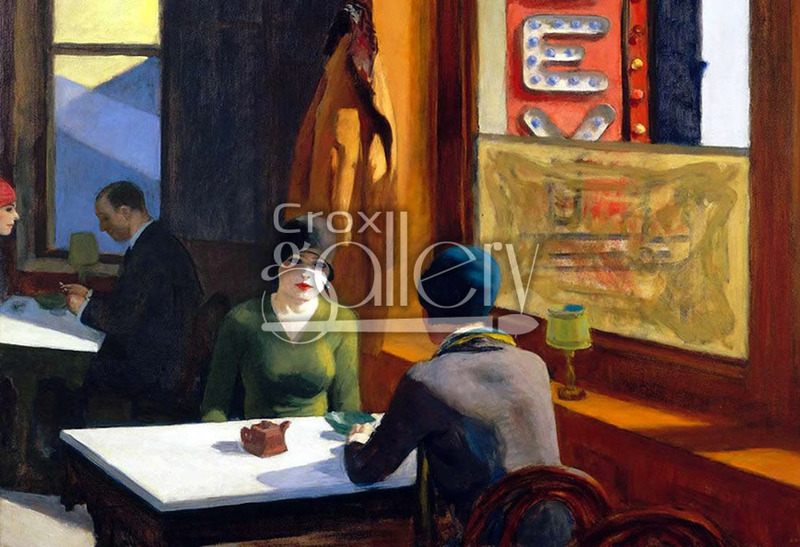 "Chop Suey" by Hopper, 20's Art, Oil Painting Reproduction. 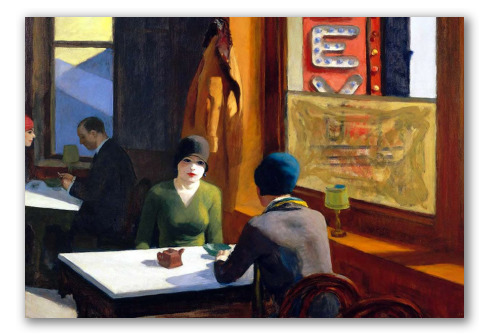 Chop Suey by Edward Hopper, was inspired by an urban setting in the United States during the 20's. In the painting, two friends are having tea and talking, dressed in the typical clothes of the period.